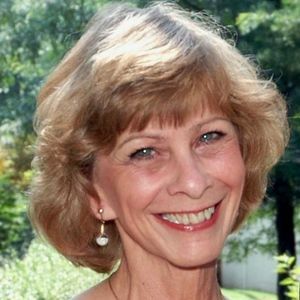 Cedra Yon Hubler, 70, of Charleston, SC, wife of Robert "Jeffrey" Hubler died Wednesday, February 20, 2019. Her Funeral Service will be held Saturday, March 2, 2019 in the J.Henry Stuhr, Inc., Northwoods Chapel, 2180 Greenridge Road at 2:00 pm. Interment will follow at Carolina Memorial Park. The family will receive friends Saturday from 12:00 pm to 2:00 pm in Stuhr Northwoods Chapel. Cedra's journey with cancer began in 2009. The love, support and prayers of her loving family and friends and tremendous doctors carried her a long way.Cedra was born May 15, 1948 in Charleston, SC to the late W. Athell and Edna Whetstone Yon. She graduated from Chicora High School and attended Columbia College. Cedra graduated from Palmer Business College and was an Administrative Assistant at MUSC in the Department of Anatomy for 17 years.Her love of Children gave her a Teacher's Assistant position for about eight years. Cedra was an active member at Cherokee Place United Methodist Church, participating in their youth Program Vacation Bible School and Sunday School. She and her husband, Robert Jeffrey (Jeff) Hubler attend St. Thomas Catholic Church. Cedra was the "neighborhood" mom, "sports" mom, "faith and homework" mom and "comforting" mom. In previous years she enjoyed reading, needlepoint, music, "beaching" and growing pretty flowers and cooking and helping others. Cedra is survived by her husband, Jeff Hubler and two sons, Andy Hubler (Nicole) and "Spike" Conlon. She dearly loved her grandchildren, Emily, Landon and Logan Hubler and Michaela and Braden Conlon. In addition to her parents, she was predeceased by her brother, Donald ("Don") Athell Yon and her in-laws, Mr. and Mrs. Robert Oliver Hubler (Bob and Christina). Memorials may be made to American Cancer Society, 5900 Core Road, Suite 504, North Charleston, SC, 29406 or Charleston Hematology Oncology Associates, PA, 2085 Henry Tecklenburg Drive 2nd Floor, Charleston, SC 29414. Mr. Hubler, we are so sorry to hear of the passing of Mrs. Cedra. Our thoughts and prayers go out to you and your family at this time. Jeff, I am so sorry for Cedra's passing. I know its been a long struggle. I also believe the two of you made a wonderful and happy family. High school sweet hearts who made it work over all the years. Please know that you and your family are my thoughts and prayers. Our Home Coming Queen and will always be "Our Queen" to greet us when we go home. Cedra was beautiful inside and out. She was the sweetest woman ever. I will miss her dearly. Jeff, so sorry to hear this news. Yall had such a beautiful lufe together. God bless you with peace at this time. To the family and friends: I would like to express my sincere condolences for your loss. My mother named me after Cedra because she thought that it was such a beautiful name. Over the years, I've had the pleasure of meeting Cedra and then one of her son's when he came into the office where I worked, to look for an apartment. I too have had someone named after me so while Cedra may be gone from this world, her memory will live on for generations to come. God Bless You All! Although I did not know your family as long as most in our neighborhood, your friendship means a lot to me. Thank God for the time and love you were able to share. And for the gift of memories you will always treasure. In his arms she is now strong, by His grace she is sustained and with love He carried her through. I pray the hands that formed the universe will heal your hearts. She is no longer suffering and is with God now. Life Stories provides friends and families a forum to post their favorite stories and memories of Cedra Yon Hubler ensuring the precious experiences are never forgotten. Share joyful times, post a photo that captures the moments you cherish, and allow others to reply, relive and remember.